Would you travel internationally for a total of 22 hours with a toddler and a baby, (or more children? ), and without another adult or helping hand? I just did this summer. Not once, not twice, but four times (ok, two of those times were domestic US flights so they were a bit shorter). 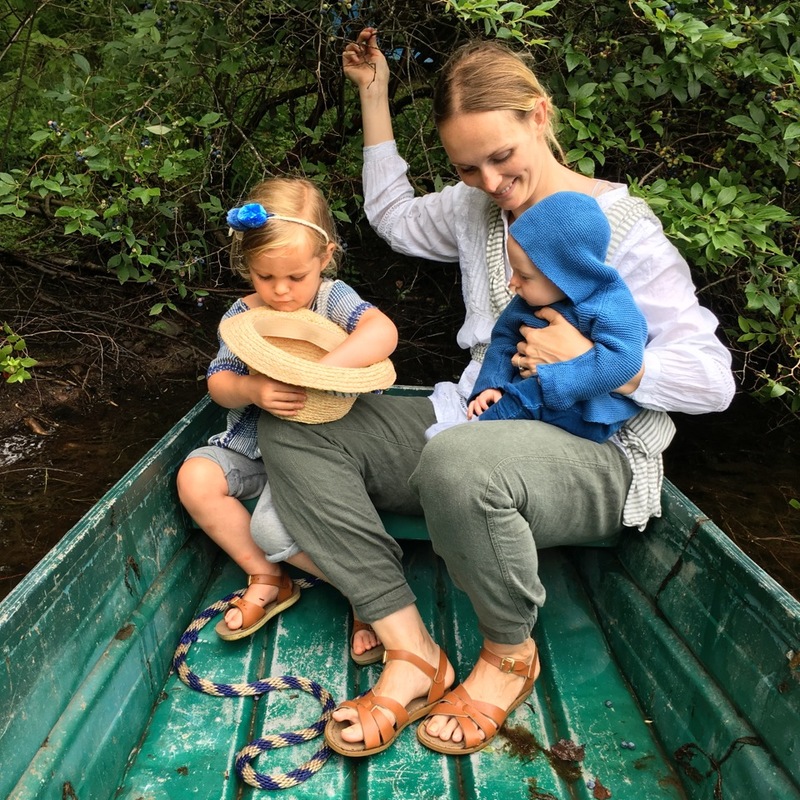 After my maiden voyages of traveling as a solo parent with two kids, I was asked how I managed the trip by lots of friends. It’s definitely an adventure, so I wanted to share some of the tricks and things I learned en route. Start by reading this. Courtney first inspired me a few years ago when traveling with four children! She has great advice and I built on her ideas with some additional tips (which might be of use especially before the holiday season). Mind over matter. The very first thing I did was to get us in the excited zone. By starting the conversation weeks in advance of the journey about how we would travel and why we were traveling, and who we were going to see, we began to build the anticipation. Like Christmas morning levels of excitement! If you approach the entire trip with great excitement before the physical traveling begins, you start out prepared and all on the same page. The high-five plan. On the day of travel, I had a last minute lightbulb moment. We needed a simple way to both celebrate and notate each stage in the trip. It was the high five plan. After each stage of our trip, we decided to celebrate with a high five and a kiss. It was a small and simple way. And… she totally loved it, we would get excited by this somewhat silly but super effective way to end one and begin another step in the journey. We made it into five stages (i.e. the trip to the airport was one). Five parts to the journey, five high fives! It was excellent. She waited for the high fives, even reminding me to do them. It broke the trip down into more manageable, bite sized chapters. Less is more. Esther wrote here about traveling lightly. Have only what you need, and nothing out of arms reach. If your bags are over-stuffed, or you can’t get to something easily don’t bring it. I didn’t travel light at first, I travelled so I could have a lot of tricks up my sleeves. Only I couldn’t get to them, so they were pointless. Less is more. And let your children choose two or three things to travel with. Give them that ownership during their journey. I always pack a surprise item, something small like a puzzle or a packet of stickers, so they have a little item to perk up when weary — but think light! A buggy only if you need it. And this one is a lifesaver! The BabyZen Yoyo Zen+ is the travel buggy! It is lightweight, portable, durable, and the only FDA approved buggy to bring on the airplane as an overhead carry on. It is foldable and its design is genius. I’d bring it on the plane with me so I didn’t have to take any chances when we landed about where the buggy would be waiting. So many people have been impressed by how small it folds up, that I must have sold about 10 while travelling. The buggy either carried our bag or the toddler, I kept the baby in a carrier the whole time. But the buggy was essential for the ages of my travellers. And I have had over 4 travel buggies, so I know a good travel stroller when I meet one! I only wish I had it three years earlier. A sturdy baby carrier. The Adapt Ergo 360 was the one for me. Although I love soft wrap slings and baby carriers, I would not recommend travelling with a wrap style as I tried that and it was too difficult to do (as a solo adult) while single handed if the baby can’t yet sit up on its own. I’ve now owned numerous carriers, and this Adapt Ergo is a new style that grows with the child (clever velcro inserts), from newborns to toddlers, and is strong and safe with a neat little head rest too when they are sleeping. I can easily breastfeed in it too. Adapt Ergo US, and UK. It works on the front or back, and with the kids facing in or out. It was excellent for travel. An upright Wheelie Bag. This is better than an over the shoulder bag if you already are carrying a baby. Great to store the emergency extra set of clothes, cardigans to stay warm, nappies, wipes, etc. And bring an extra waterproof bag for soiled clothes… just in case. One pouch for everything official. Passports, visas, travel info, a pen (for filling out customs forms) and for keeping a lip balm too, just in case. I used the pouch that came with my super nappy backpack. It all hooks together, and the bag also worked perfectly over the handle of the Yoyo Zen. Disposable Bed Mat – not glamorous but an invaluable solution for any potential travel sickness or as a travel mat for laying down if you have a really gross bathroom scenario and need to change the baby or toddler! Then you can just throw it out. We have serious car sickness in our family, so this is a definite. Healthy snacks and water. With our snacks I bring one extra plastic bag to keep for rubbish and an extra pack of wipes… it is great for food and clean up all to be in one place. And this cup for toddlers in genius. It doesn’t spill, unless dropped from great heights. We travel everywhere with it. And this Organic People hand sanitiser for getting sticky things off. If you have room for one book, make it this one: A Day at the Airport, by Richard Scary is especially great for entertaining and educating and kept us occupied for hours and hours! At check-in. Go to premier / first class to check in. Even if you are flying Economy. Ask them if it is ok to check in early, or not to wait in the queues. They will generally be accommodating if you are polite and kind. And always ask if it’s a sold out plane or not. Extra seats make life extra easy. Lots of thank yous!!! And Beatrice joined me in this. We made it a point to thank everyone, a lot, and it goes a long way. (A general life rule, I realise, but especially good in this scenario). Pace yourself and give yourself more time. Leave plenty of time. Cajoling kids, nappy changes, snack breaks, security check in, all takes more time solo. When people offer help, accept it. I’m not always great at this. But it’s a good thing to try. And to show our children. Let your kids help. Beatrice found it so fun to push the buggy. Did she nearly take out a few ankles because she couldn’t see over the buggy? Yep. But she loved every second of pushing the buggy. She felt empowered when she helped me. She had purpose! Yes. And… she worked off some extra energy. Play. Make the airport (or train station, etc) a place to explore. I Spy, rhyming games, counting planes that fly by, etc. We flew back just before my son starter crawling. 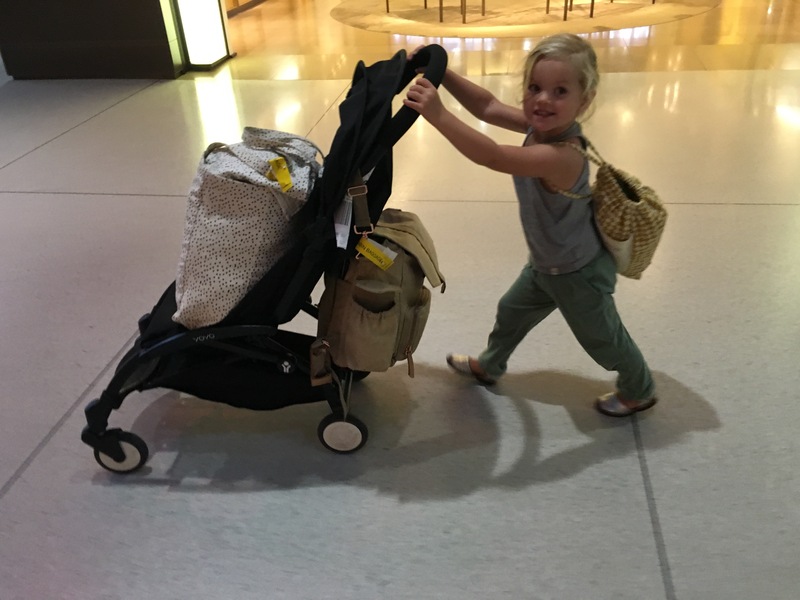 For travel with kids that have just started crawling or walking, let them use the airport as the place to release energy. Pre plan this before doing the trip: Support. Make sure that once you arrive at your destination you have help. You may want to collapse. Have good food waiting. Especially if you are jet lagged. Just relax into things for a day or two. Do something fun. We looked forward to strawberry picking with my mom and honestly, that made the trip that much sweeter. So 24 hours after we landed, we were outdoors enjoying sun and sweet strawberries which washed away all the tiredness of travel. Let us know your tips too. And if you are traveling solo soon, then good luck and high five to you! ps There is nothing glamorous about airport terminals. And there aren’t any good photos because of that. But I loved our entire adventure, flying solo, and already have plans to do it again next month! Thank you so much for this post! I now really want to try traveling solo with my two toddlers (2 and 4) but I was always to afraid. Now, after reading your post, Im eager to try. So thank you! And high five to you! I done many solo flights with two kids under the age of four and the one item I find super useful are SipSnap’s. It’s a stretchy lid that fits all glasses and cups! It’s super easy and once slipped over, you have a splatter-proof drinking cup! No more disasters with spilled drinks + no carrying around your own bottles or cups. I traveled frequently alone with my two little girls when they were small. I feel if you decide before hand that its going to be fun and not glamours it will be fun. One of the best items we used when we traveled around Zurich and Paris was a double seater pram which had big wheels for jogging with. I never jogged with it but found the larger wheels managed beautiful on the cobble streets of the cities. The girls slept in it and in Paris where it was freezing they wrapped up in it warm and cosy with a blanket. Children will amaze you, they love to see new places too. Lara, this is amazing and so inspiring! Thank you so much for sharing all these tips and tricks. I have a little one ( 1 1/2) and have traveled a bit with her. No, it is never easy, but it is always worth it. These little ideas though are seriously perfect. I definitely agree with you that staying positive is one of the best things we can do. I believe that they feel our negative energy and feed off of that accordingly. Thanks for taking the time to share this! Great tips, Lara! I’ve had a lot of practice flying solo with D, and use a lot of these suggestions myself. For those traveling with car seats on the plane, as we always have, the Mountain Buggy Nano is a complete lifesaver. It’s almost as small as the Babyzen Yoyo, and I’ve only ever had a problem carrying it on to very small commuter planes. Infant car seats as well as some small convertible seats (the Combi Coccoro here in the US, for example) attach to it quickly and securely without needing any adapters, and lets you push your car seat through the airport right up to the gate. Once you’re at your destination you have a [great] buggy if you need one. I honestly can’t imagine how we would have traveled between 12 and 30 months without it, and wish we’d bought it sooner. It was especially valuable for me traveling solo because I could push the car seat and stroller together (with baby on board!) and carry everything else I needed in a backpack. Yes, the Mountain Buggy Nano is SUCH a game-changer for traveling with a baby/toddler – especially when it’s just myself and my son. I’ve had to stash it in the overhead bin one time when I forgot the cover, but every other time I’ve gate checked it and it’s held up perfectly. BEST purchase!! I feel a lot less nervous after reading these tips- thank you so much!!! Ill probably read it again several times before we leave! Australia to london with my two boys under two is going to be an adventure alright!! But now I am looking forward to it! Could you please tell me what you think about a trekking child carrier? A backpack for my 1 year old to sit in as well as a stroller for my older child? Thank you!! Thanks for the sweet comments. I haven’t ever used a trekking child carrier, but if sounds like it could be a good idea for your children’s ages. Good luck, and I hope your travels go smoothly! May I ask what you did about the car seats? Hello! I borrowed car seats from friends in a few cities, and had my mother buy one for our visit to her. It is far too cumbersome to travel with car seats when solo. But there are some great comments from Shannon on what she did… see below. Safe travels! Hi! Thanks for this article! 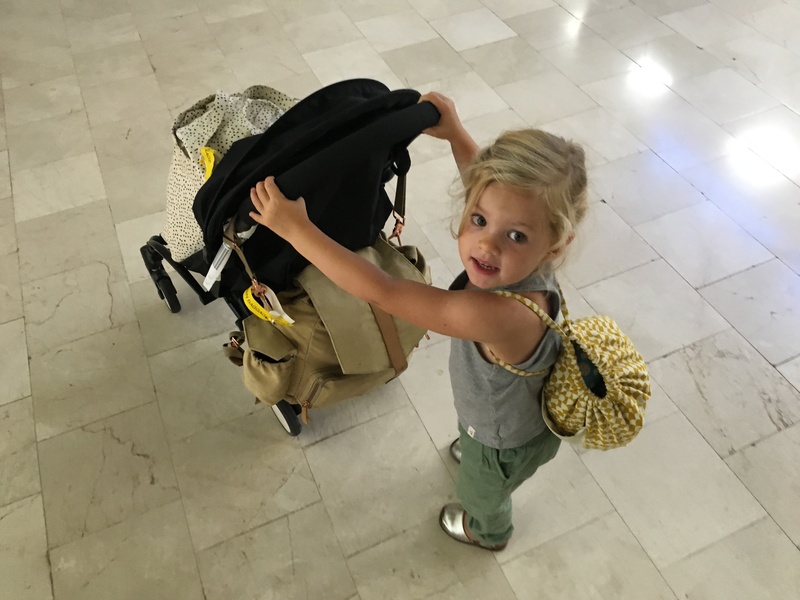 I have traveled a lot with my now 2 year old and learned a few great tips! I was wondering the brand of the polka dot tote? I love it! Thank you! 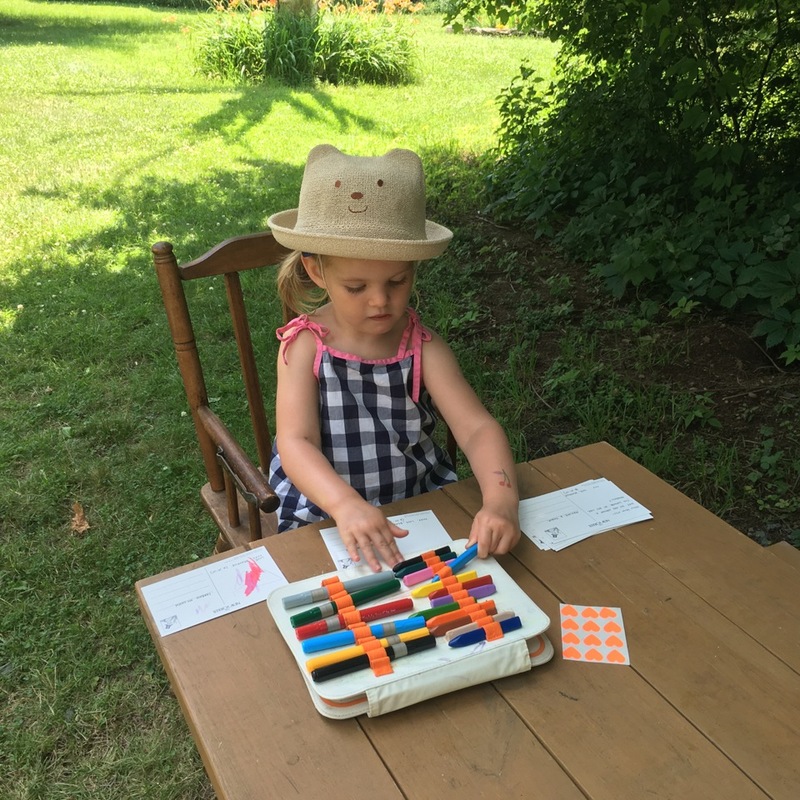 I have done about fifteen solo trips of 20+ hours with my toddler daughter, and love these tips. The Ergo saved us for years! A couple of extras that often help: ask airport staff if there is a play area. Many international airports have them, but they are usually tucked away in obscure corners. They can be a lifesaver if you are stuck indoors waiting on a flight connection. The other one is to pack activities in reusable ziplock (or other) bags. This way you can pull out a complete activity without rummaging through everything in your bag, looking for that damn lost crayon. Love your blog. Very practical!